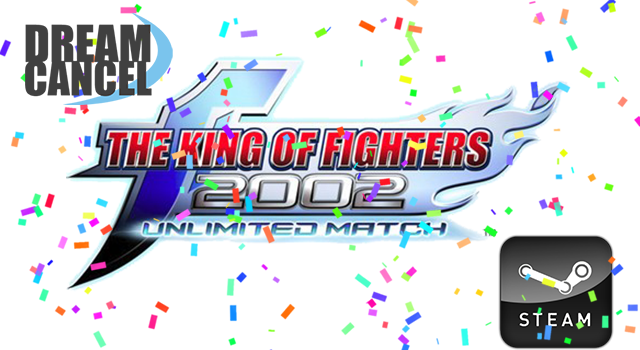 This will be our fifth official Steam Battle for KOF2002UM on steam! We will meet up and play together Sunday at 2pm Central time/3pm Eastern Standard Time! Click "Launch Application" to open the chat room! This is will be a Journey To Dream Cancel Cup online event to play for PlayKOF ranking points! All players in attendance will play each other in a first to 3 wins set. Everyone will play at the same time. After you have finished playing with one person, move on to the next available player and so on (in the chat say "FREE" when you are available). When you are playing, please try to keep track of your score either through chat reminders or tally marks on pen and paper. Report your final score in the group chat. Each FT3 set win will receive 3 points. All players wins will be tallied, ranked and posted at the end. It is recommended you try to play as many different people as possible, but you are allowed to rematch with previous opponents once. Top 3 scoring players will PlayKOF points and will be added to the ranking board!